Redefining social norms the early Hippies of the 60's sowed the seed of Goa Trance Dance from which has mushroomed this amazing vibe of Oneness enveloping the entire planet now. 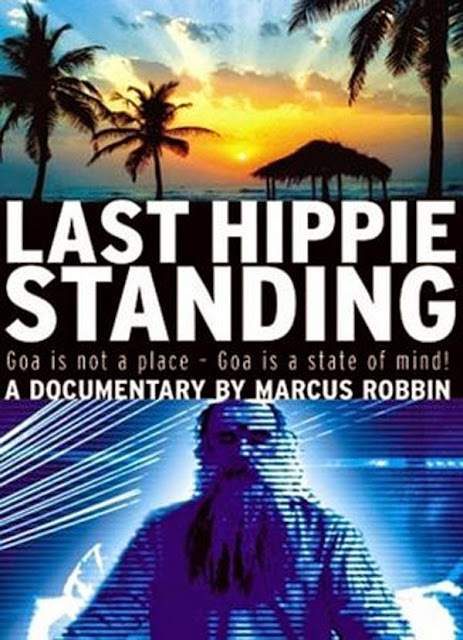 'Last Hippie Standing' is a beautiful documentary on the Goan Hippie Heaven Era and what has become of it today. With a strong campaign against the use of plant based psychedelics the Government keeps a majority of the population misinformed about plant based hallucinogens. The Shamanic use of psychedelics to attain altered states of consciousness is easily clouded behind the multi-billion charade called 'The War On Drugs'. With the rave culture from the last half of the 20th century having evolved into a Spiritual Gathering of the Tribes, there is more meaning and impetus to the awakening of our collective consciousness through the psychedelic trance dance initiation. With more conscious people awakening to the truth of Oneness, our future is being shaped right now through each one of our feelings, thoughts and actions affecting our collective reality. Goa Gil speaks about his spiritual initiation when he came to Goa in the 60's. He traveled up north and practiced Yoga Sadhana for months, living with Himalayan Ascetics, Shiva Devotees (Shaivites) and other holy men who passed onto him teachings from the sacred Indian scriptures. Cleo Odzer, the author of the book, 'Goa Freaks My Hippie Years In India speaks of her journey on a Bus from Greece all the way through Afghanistan, Pakistan to Goa, India. DJ Whosane, shares with us the essence of the Trance Dance Experience and how it all began with Shiva's Dance. From the beaches of Arambhol to Anjuna, Hippie revellers and ravers are hard to miss with all the color, energy and vibes they radiate. Last Hippy Standing is a must see for everyone who is interested to know more about the Hippie Culture and how the whole trance dance megalomania began and why it is more than just a party ... much more than mere disco in the jungle ! It is a spiritual initiation when the self dissolves in oneness with the cosmic spirit ... !!! Om Namah Shivaya !! !